Garage Sale: Our annual garage sale for Crescent Ridge/Parc was held on Saturday, May 19, 2018. The next garage sale for the neighborhood will be held next year with the spring date to be determined. It is usually scheduled on a Saturday in early May. Keep watching this site for the 2019 date to be announced. Garage sales held by individual homeowners are discouraged because of unwanted increased traffic, neighbor's safety in the neighborhood during the sales. If you live by one of the many storm drains located on the edge of the streets in our neighborhood, please take the time to remove any obstructions such as accumulated leaves. The storm drains can be obstructed with debris that inhibits the free flow of water into them whether from melting snow or spring rains. 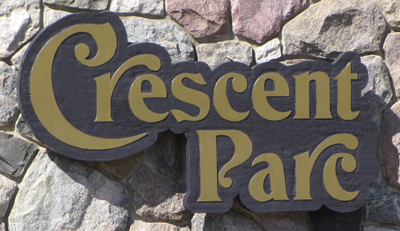 The Annual Crescent Ridge/Parc Homeowners Association Meeting is scheduled for Monday, September 10th at 7:00 p.m. Room #302 at the Troy Community Center has been reserved for an hour for our meeting. Due to a lack of interest and extenuating circumstances, there has not been an Annual Meeting in several years. Hopefully, there will be some renewed interest and more homeowners will attend. Garbage needs to be out by 7am on collection day which is Monday for our neighborhood. Refuse should be placed at the curb no sooner than 5 pm on the preceding day. Containers should be removed as soon as possible, but no later than 24 hours after pick up. Yard waste is picked up starting the first full week of April. At that time, all soft yard waste will be pick up at curbside if it is in a 35-gallon (or less) regulation-size container with a YARD WASTE decal or homemade sign. A 30-gallon brown paper bag (sold at hardware stores, Meijers, Home Depot, etc.) may also be used. Brush (bushes) or branches less than 2” diameter and less than 3’ long need to be bundled, tied and weigh less than 60 pounds for pick up at curbside. Toxic and hazardous waste such as unused paint, oil, etc. may be dropped off by city residents (with a driver’s license or proof of residence) at SOCRA with an appointment. Call 248-288-5153 to schedule a time convenient to you. During the year, SOCRA has special days to drop off larger articles such as computers/old television sets. Look for these dates in the community newspapers. The Association would like to ask all homeowners to help with the appearance of our subdivision by making sure that your mailbox is well maintained. Mailbox units are the responsibility of the individual homeowners in each grouping and need to b coordinated by them. Any new (replaced or refurbished) mailboxes must be consistent with the original mailboxes. Any changes to the design/style must be reviewed and approved in writing by the Board prior to any construction and completion. To keep the mailboxes looking fresh and to protect the wood from damage, we recommend that your mailbox be painted every 2 to 3 years. If done on a regular basis, the mailboxes should just need minor cleaning and a fresh coat of paint to lengthen the life of the wood. Sherwin Williams DURATION paint in the color, Portico will provide the mailboxes with a stronger, more weather resistant finish. We realize that many people want to coordinate the color of the mailbox with their home, but for a more consistent look throughout the subdivision, we recommend that you use Sherwin Williams DURATION paint in the color, Portico. For those mailboxes that are in need of replacement or repair, we have found a supplier who has built mailboxes in our subdivision and is familiar with the design. Board members are currently looking for a new woodworker/company to refurbish or rebuild the mailboxes that need repair or replacement respectively. If you know of any person that might be interested in helping us replace some of the units in worse repair, please contact Mary Fritz (248-879-7627). Our deed restrictions dictate that any new design coordinate with our original mailboxes to keep the look of the neighborhood cohesive and maintain great curb appeal. We would like to improve on the structural design to increase the stability and durability of the units. Newly planted trees and pines are thirsty! Newly planted trees and pines are thirsty! With the extremely warm temperatures that Michigan has been experiencing, it is wise to safeguard your investment by watering your new shrubs/trees deeply. One of the landscape companies that the Board employs has strongly advised us to inform homeowners that the newly planted trees as well as other landscape trees need deep watering weekly to stay healthy and survive the heat. THE ARBORISTS SAY THAT EACH NEW TREE NEEDS A SLOW TRICKLE OF WATER FOR AT LEAST ONE HOUR ONCE A WEEK. We would like you to help us to keep neighborhood trees healthy. Trees and landscape is installed to provide a measure of privacy, add beauty and to reduce road noise as well as creating a welcoming neighborhood lush with greenery. Help keep the neighborhood green and deep water your trees. The Homeowner Association is always seeking volunteers to help reach out to neighbors. The board would like to have one or two volunteers from each street to participate and represent their street on a volunteer team. Volunteer duties could include: Welcoming new homeowners, distributing association directories/informational flyers on their street, listening to any comments or concerns that homeowners mention to them and bringing them to the board's attention so that a resolution may be found. Volunteers would also share with the board any issue pertaining to safety, beautification, etc. Volunteers might provide help in organizing the annual garage sale, sub picnic or other events. If you would like to help as volunteer for your street (Street captain), please contact Jayant Patel by sending your contact info via email to the following email address: Volunteering.